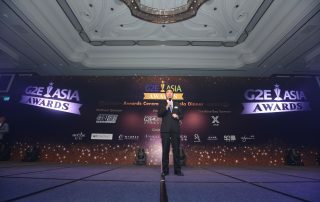 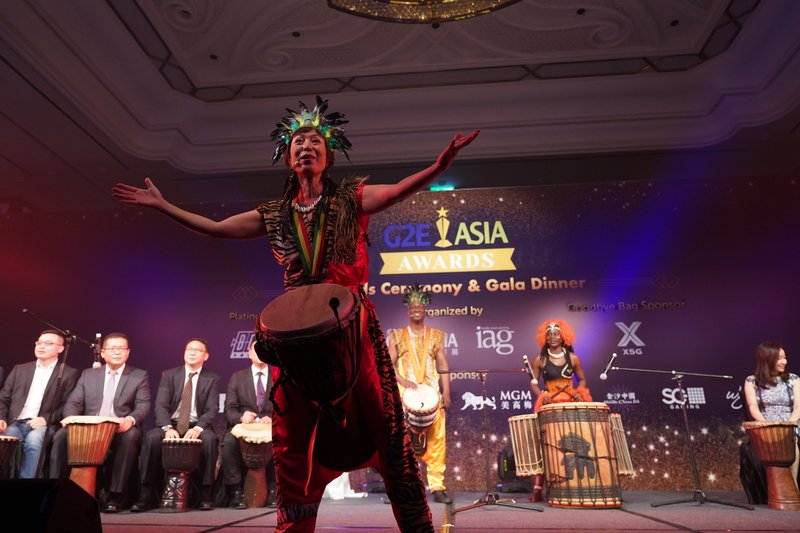 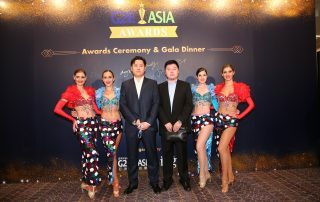 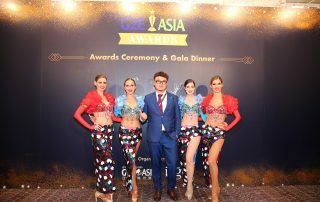 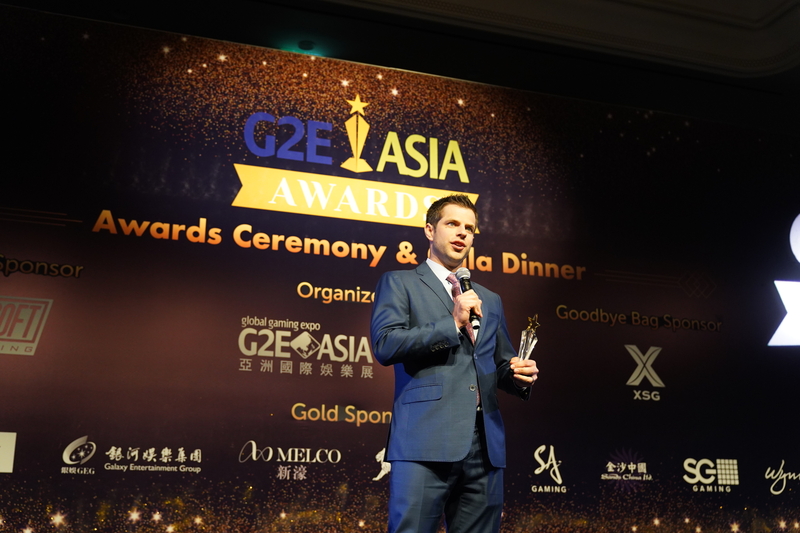 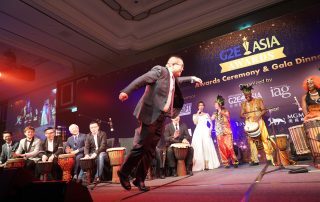 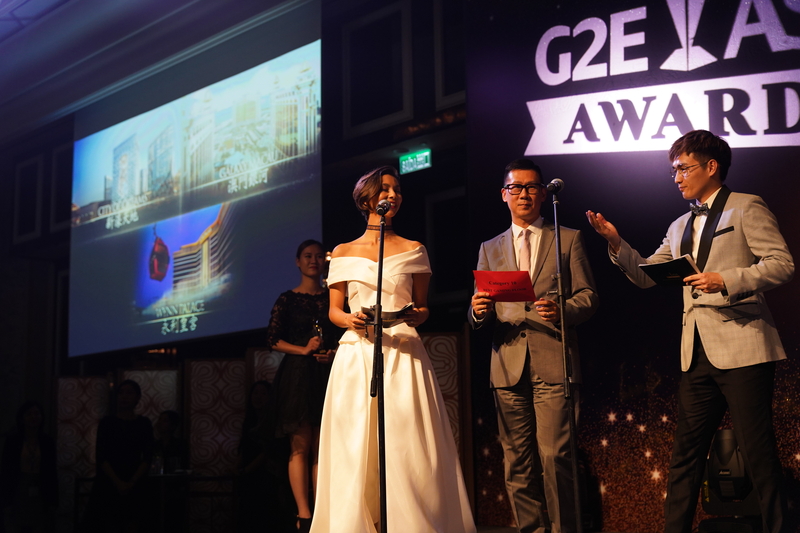 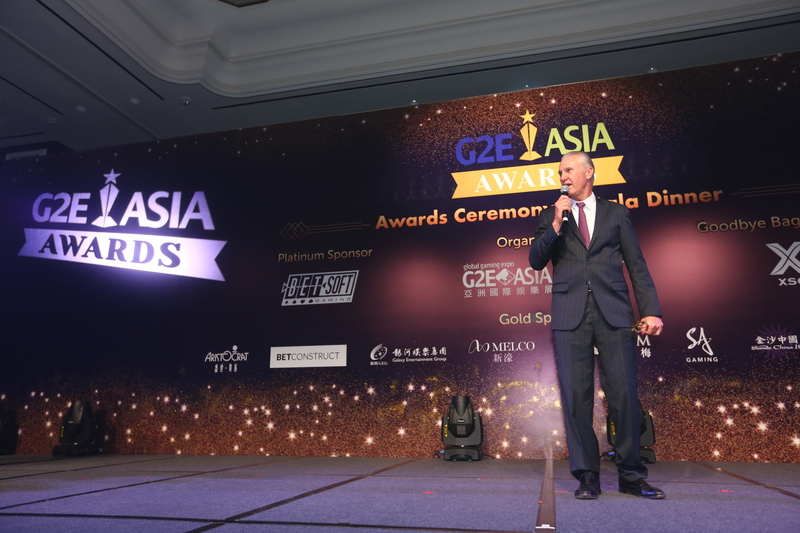 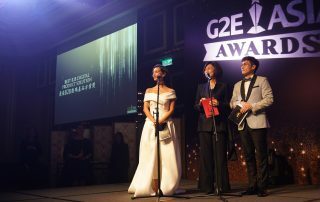 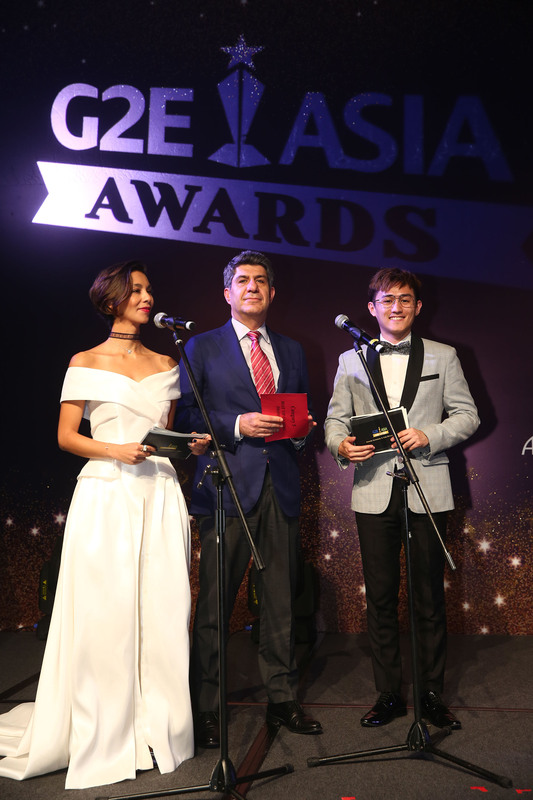 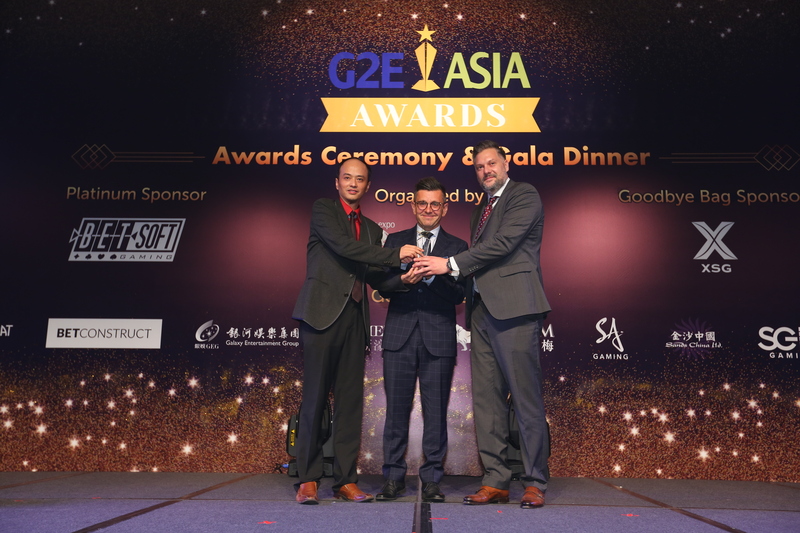 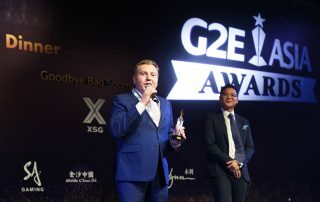 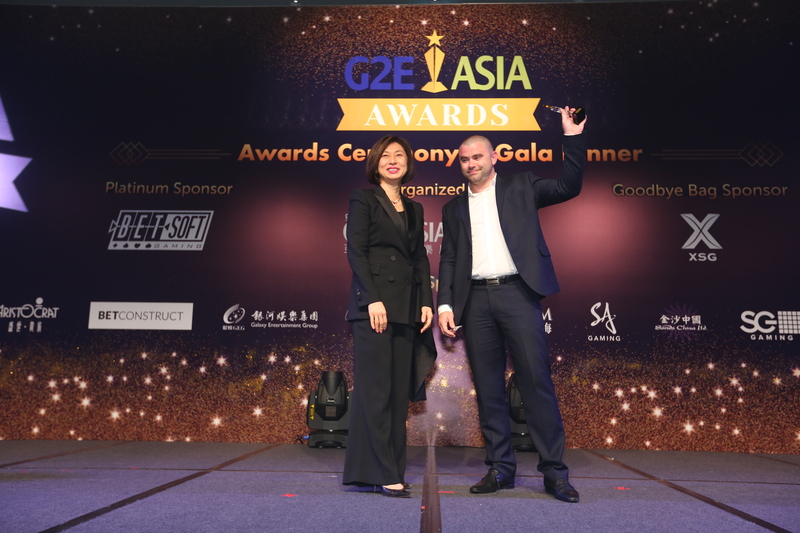 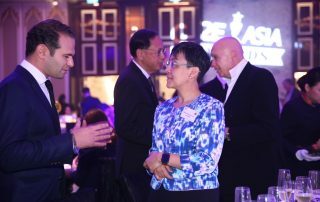 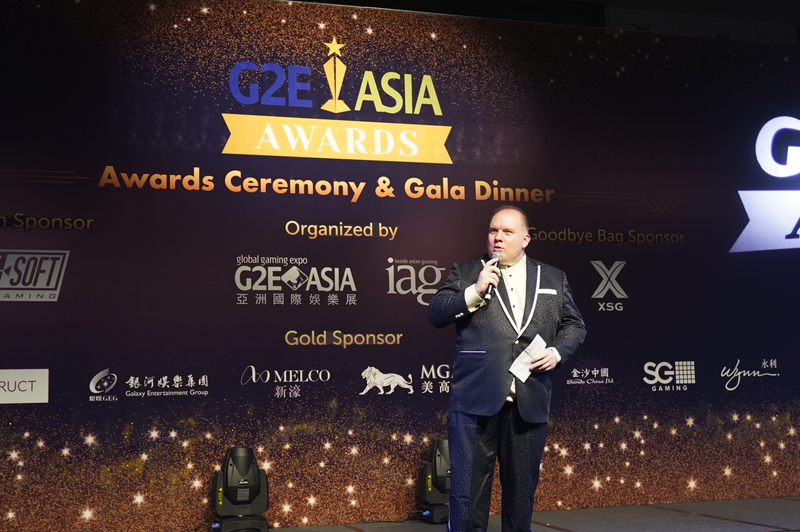 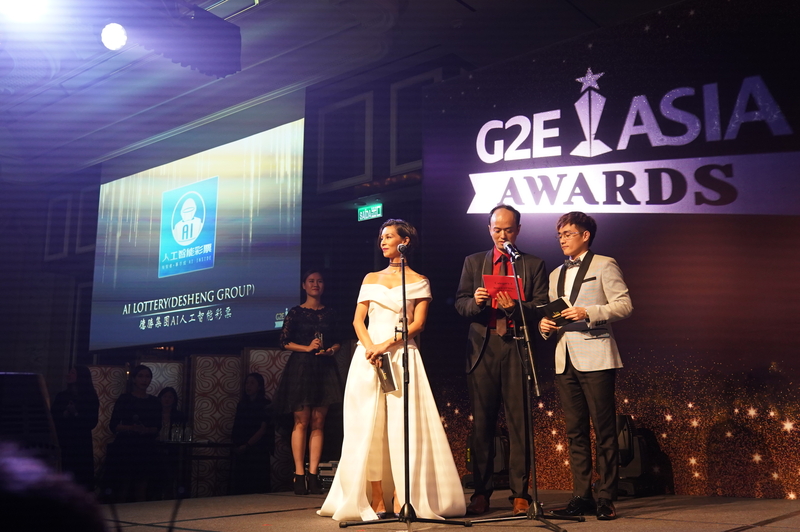 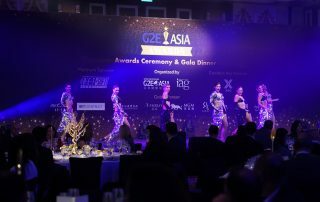 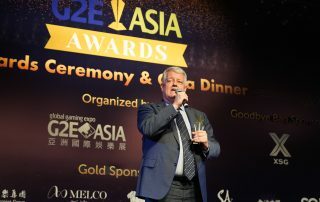 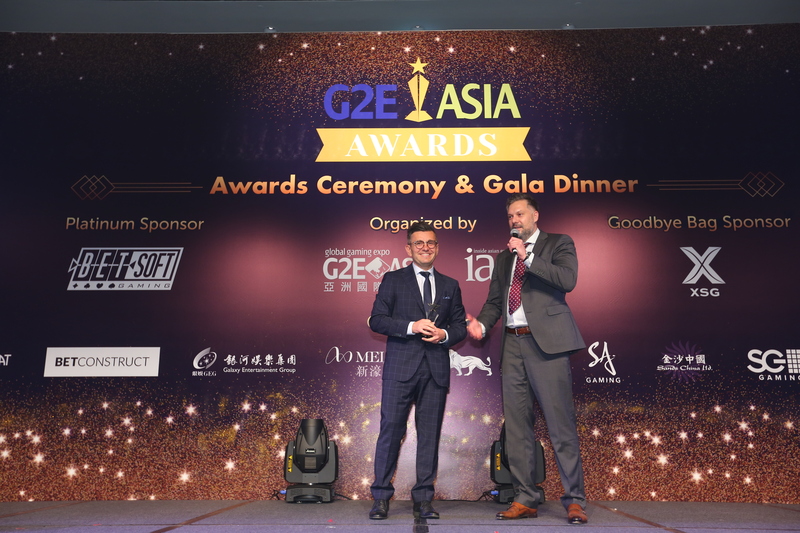 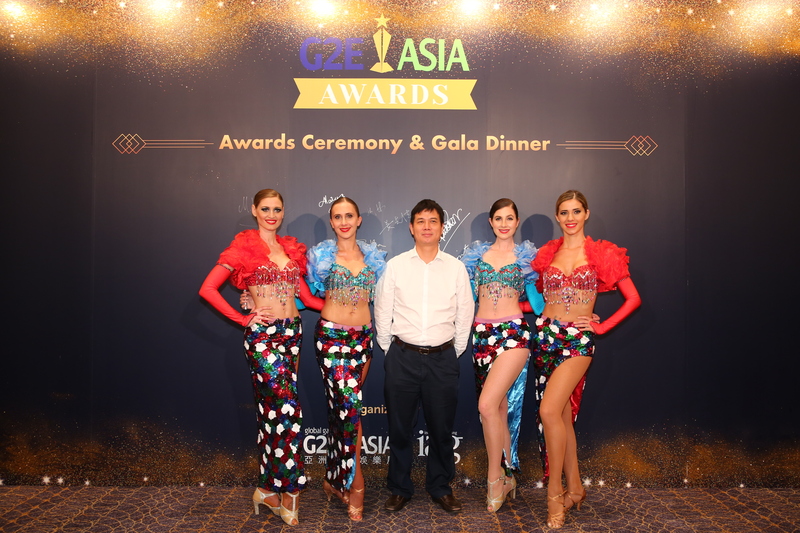 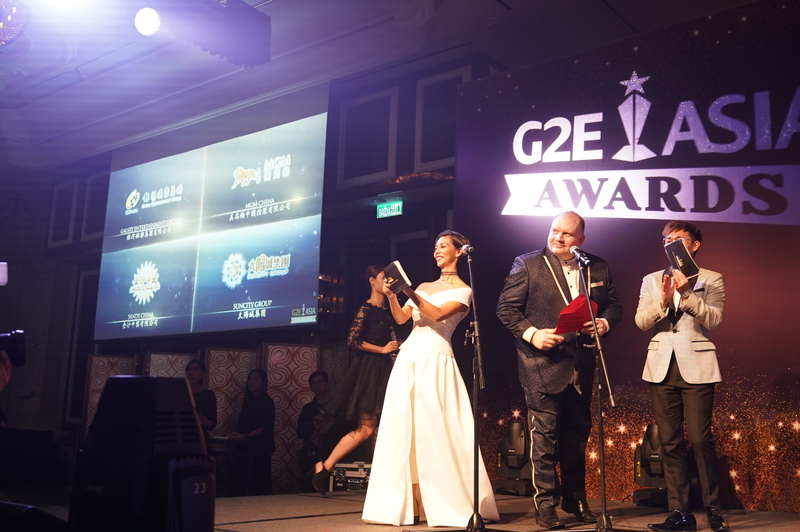 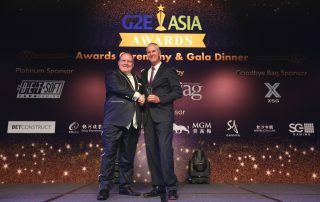 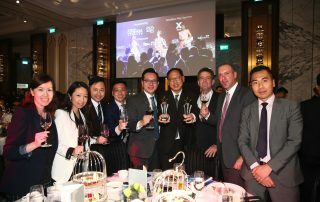 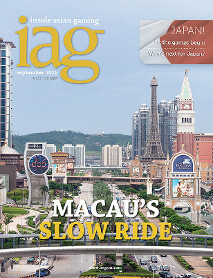 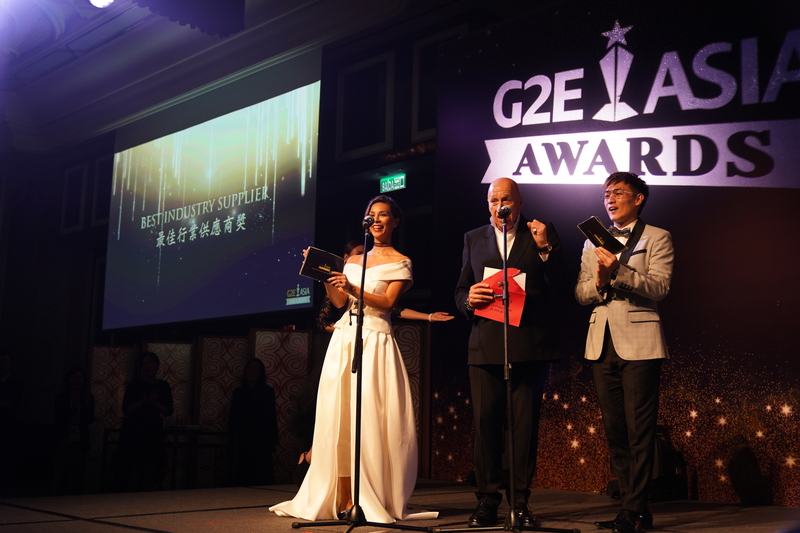 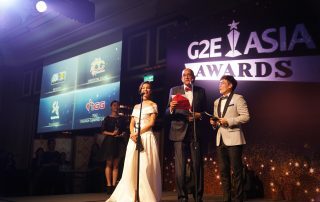 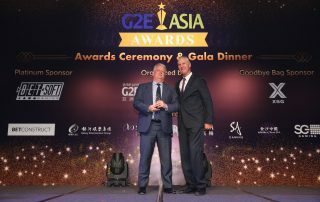 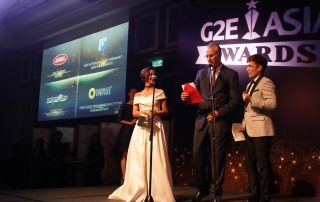 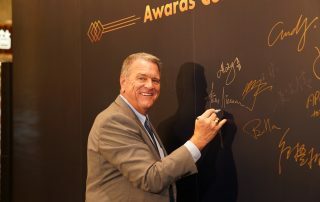 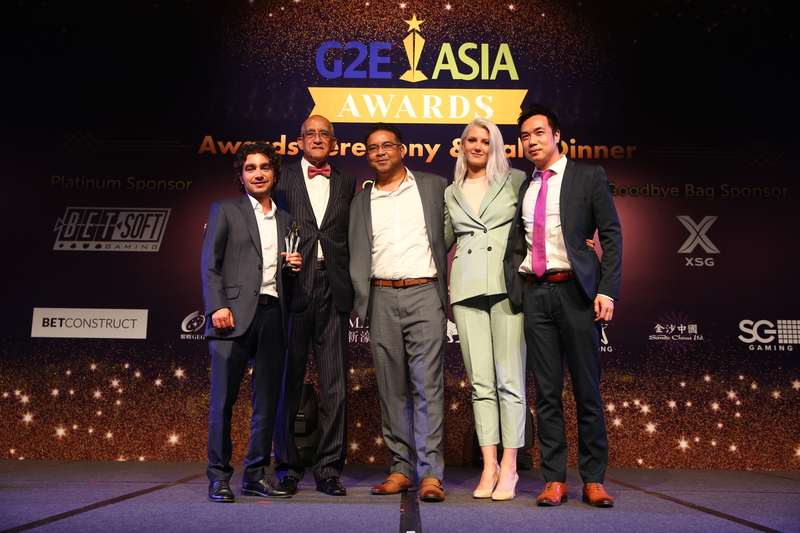 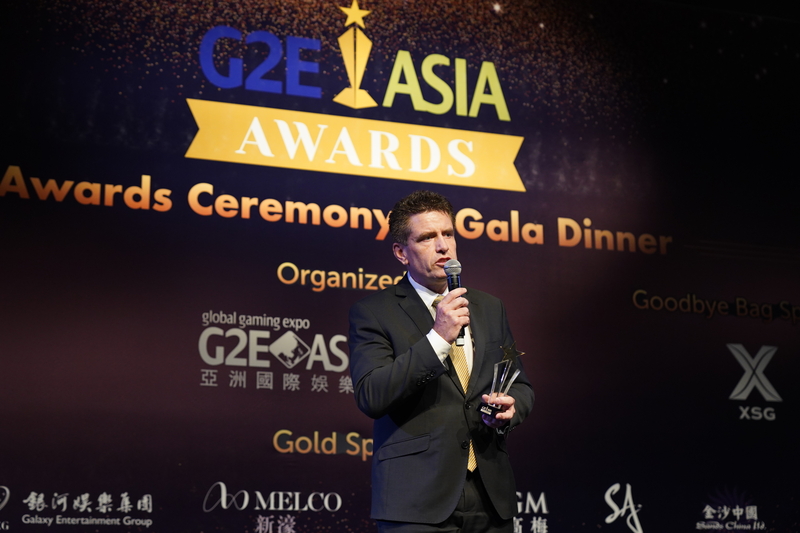 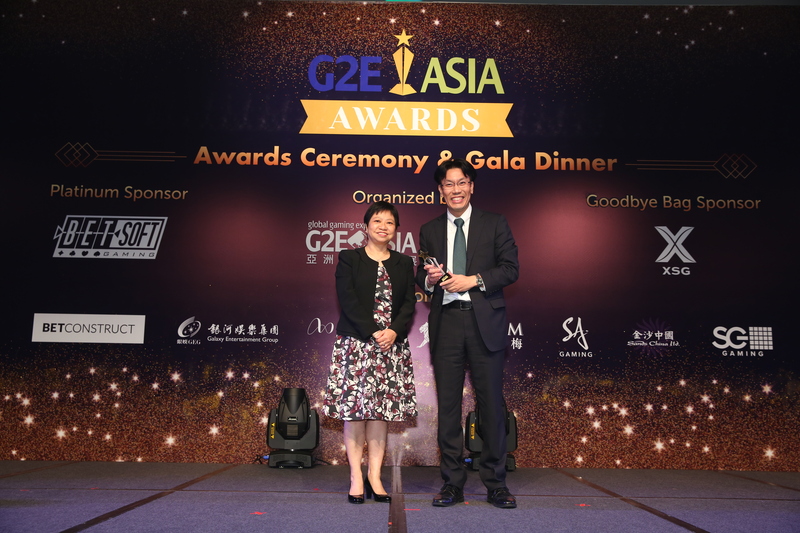 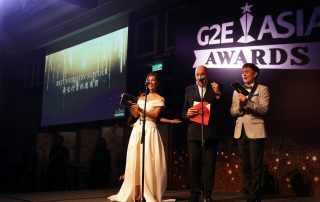 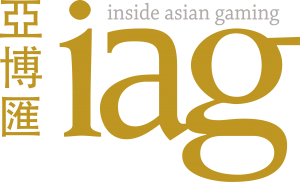 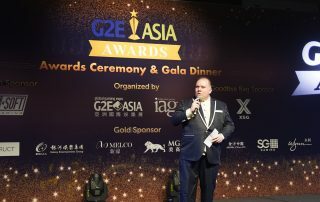 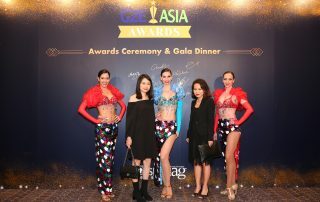 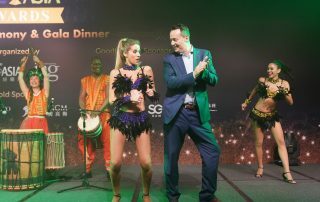 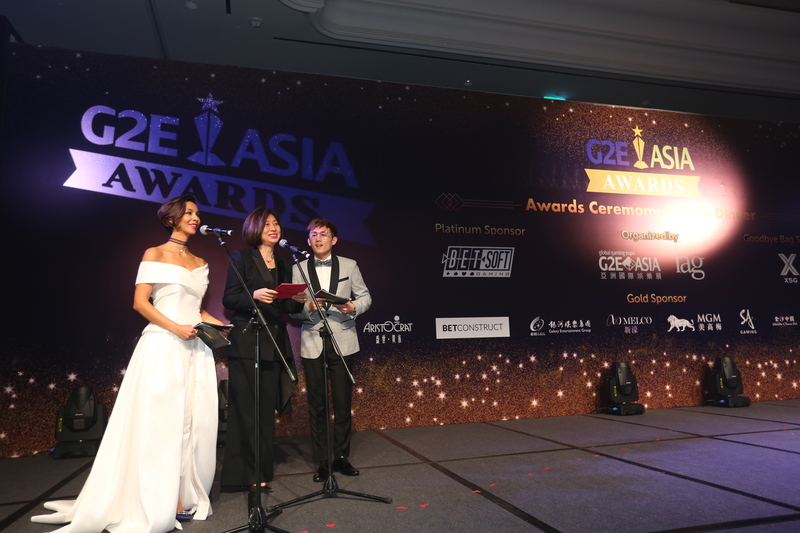 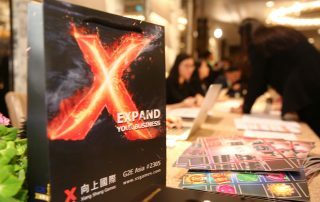 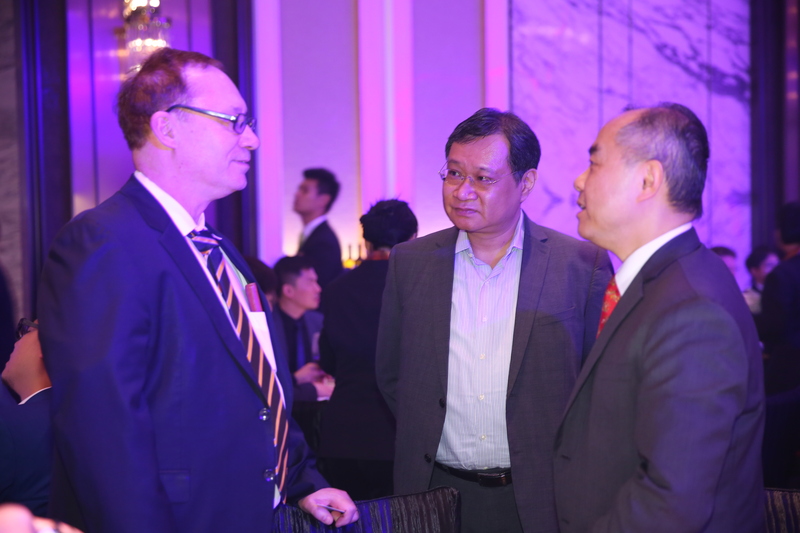 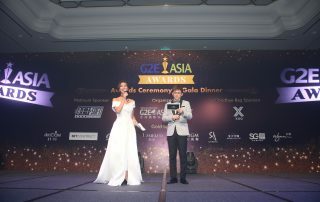 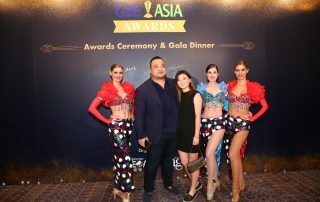 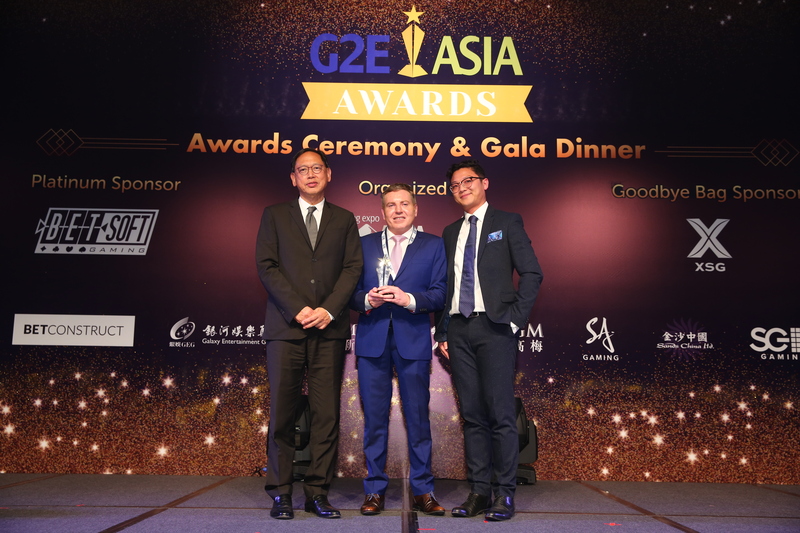 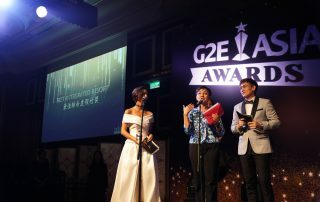 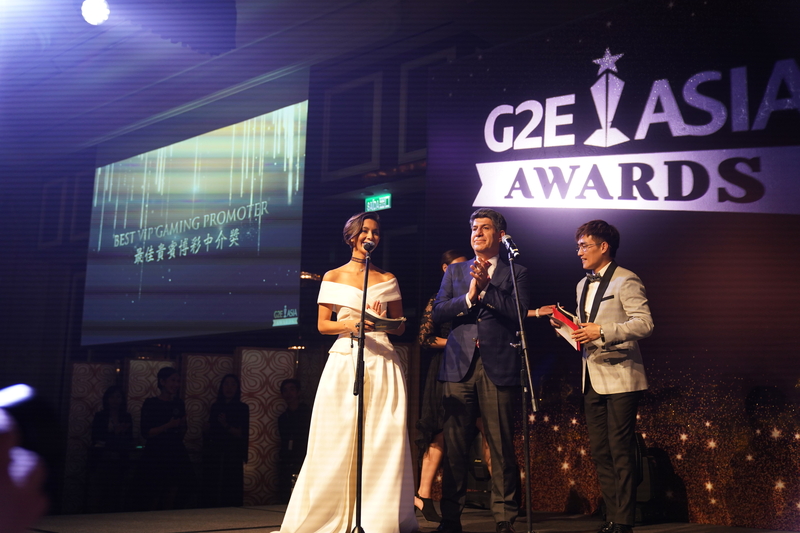 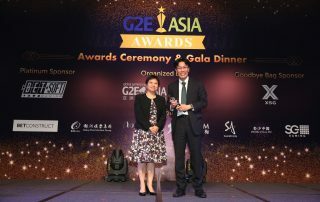 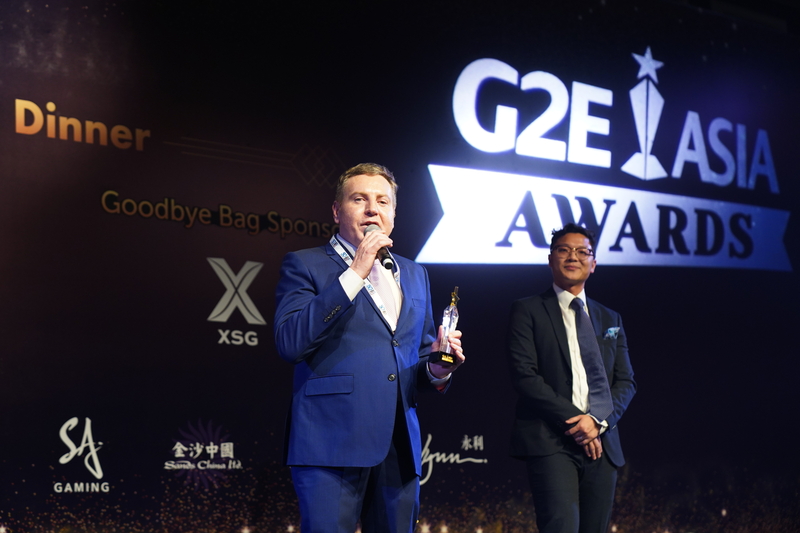 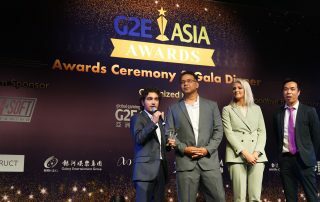 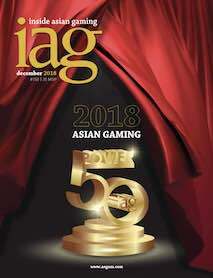 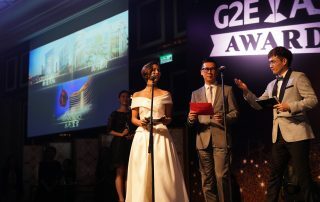 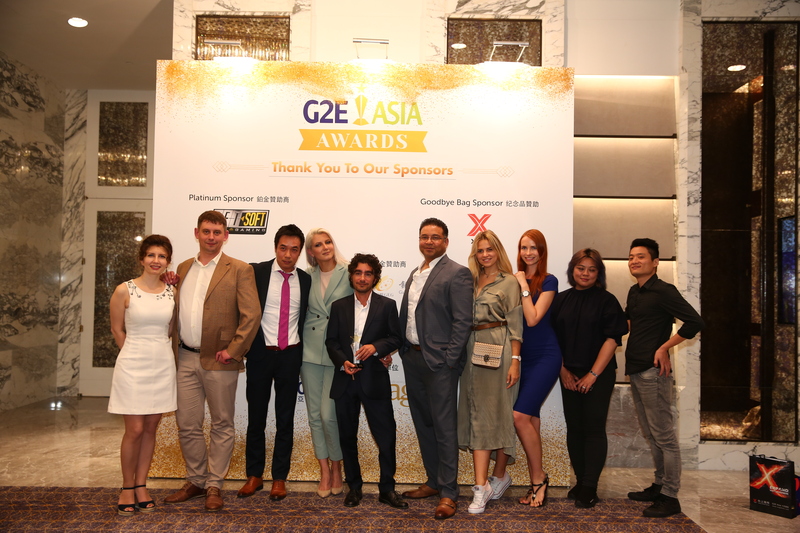 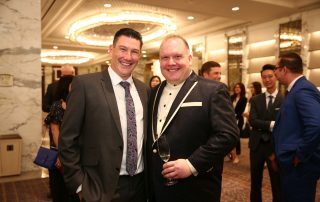 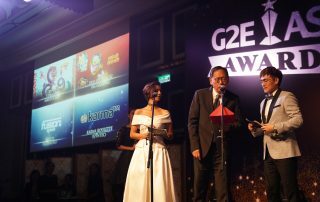 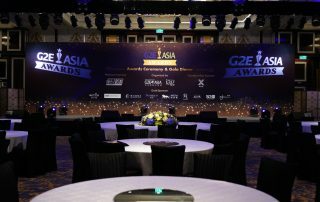 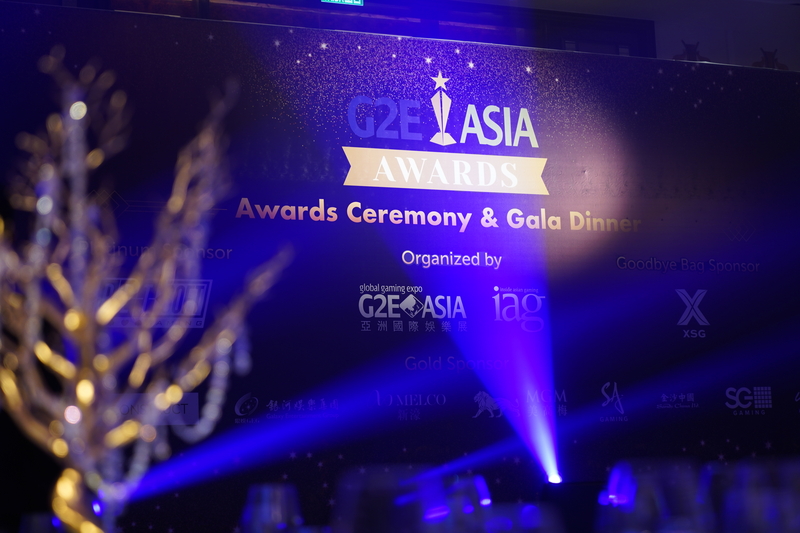 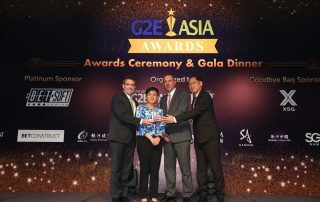 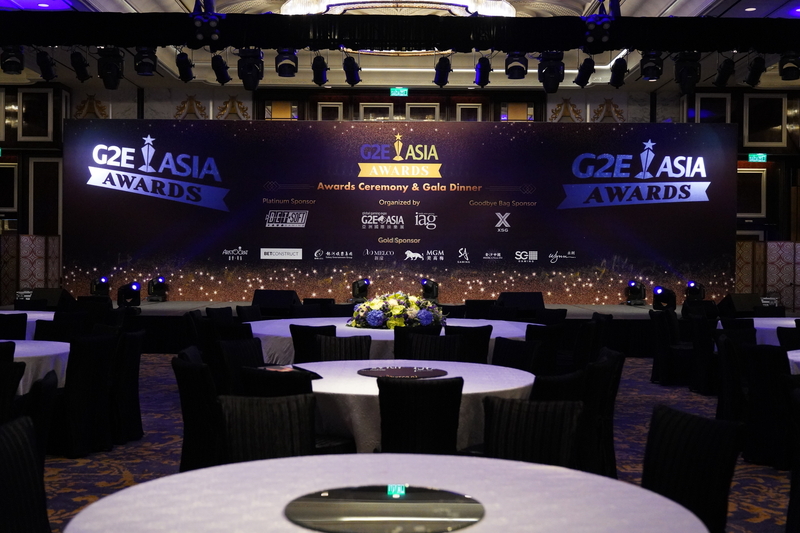 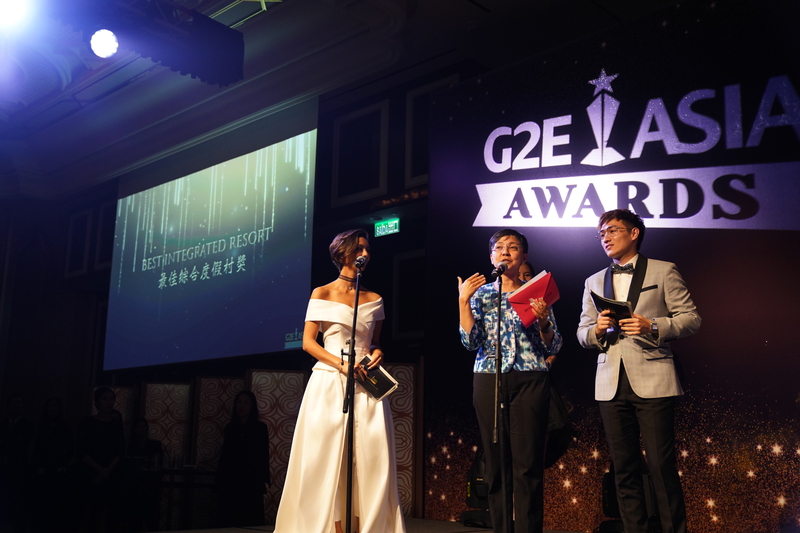 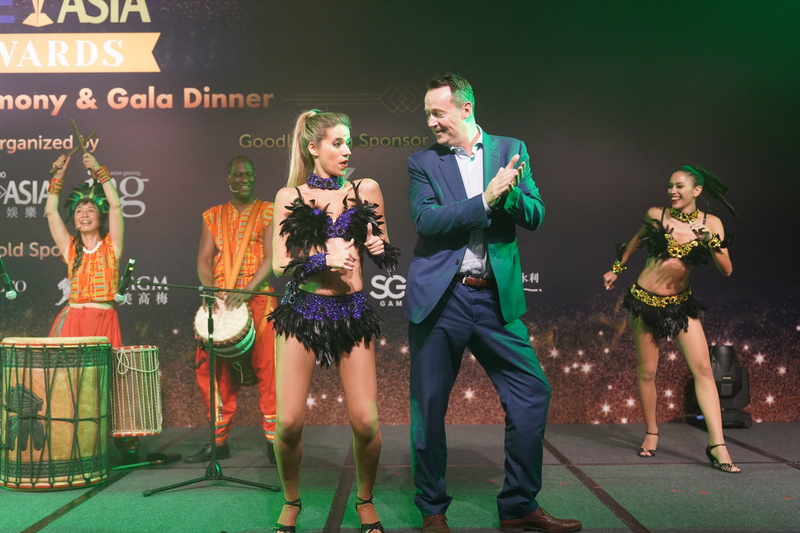 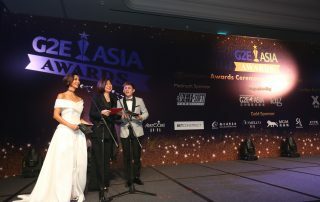 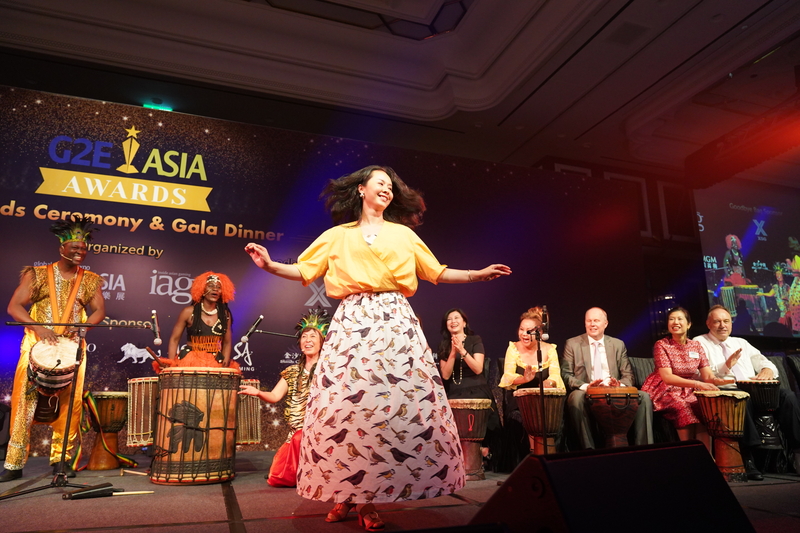 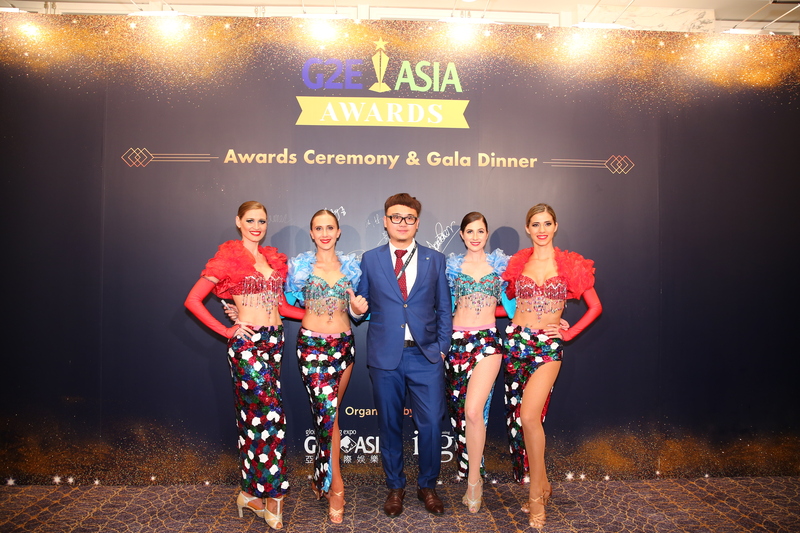 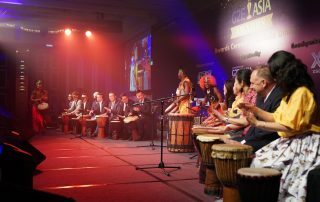 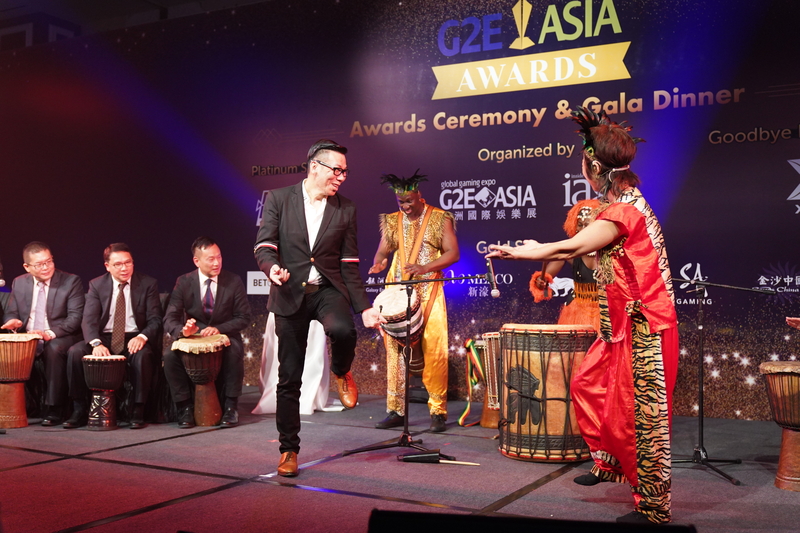 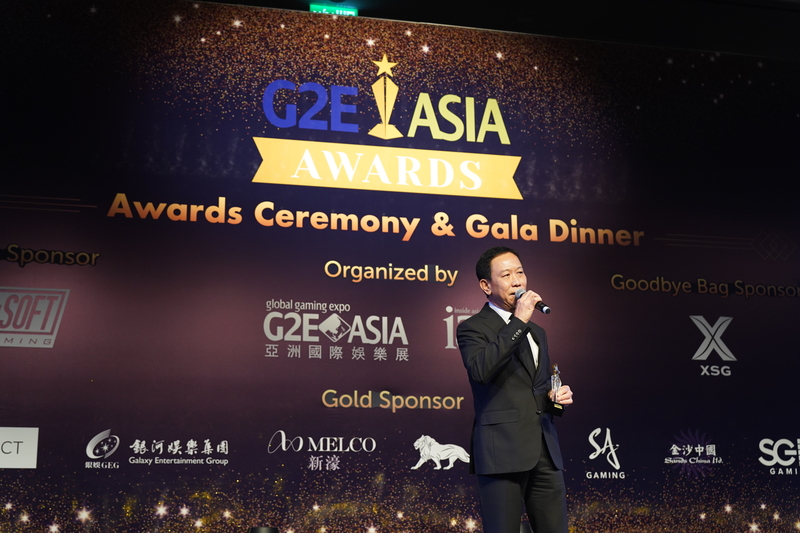 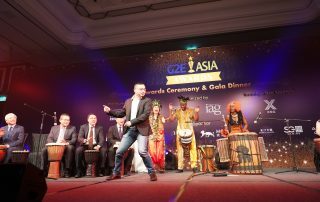 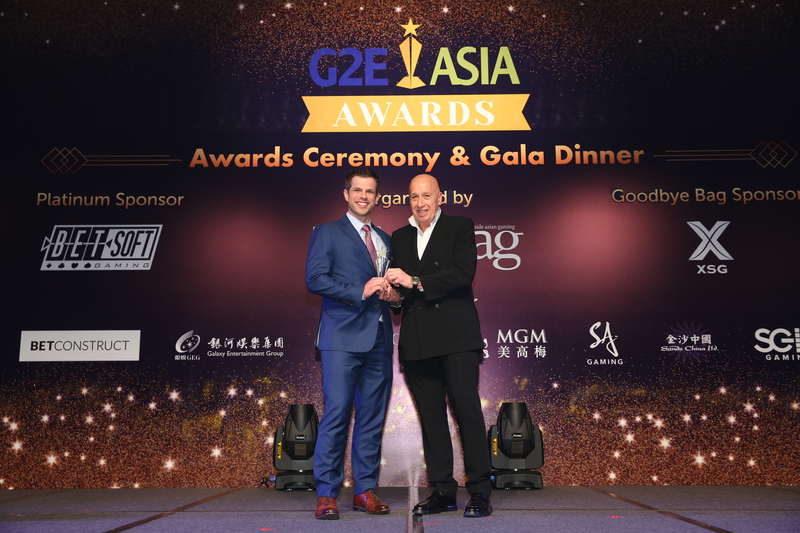 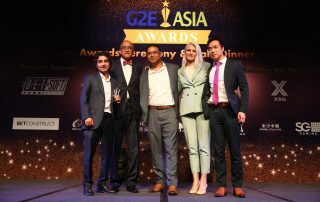 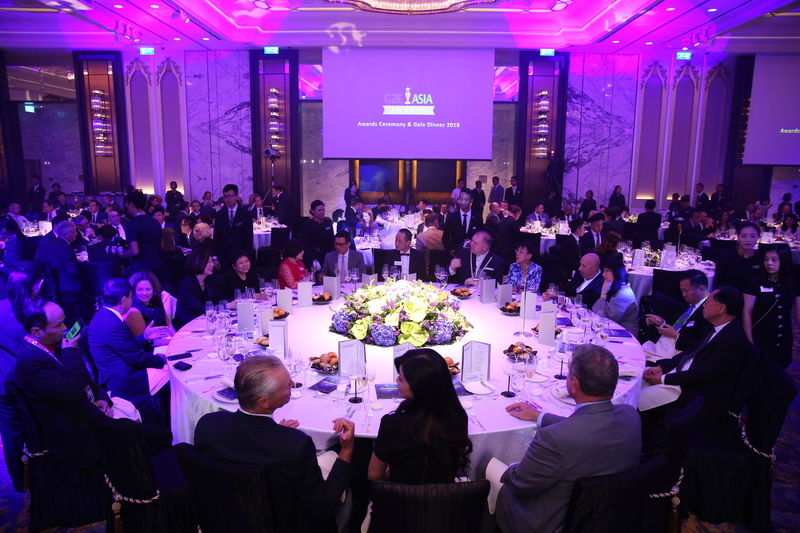 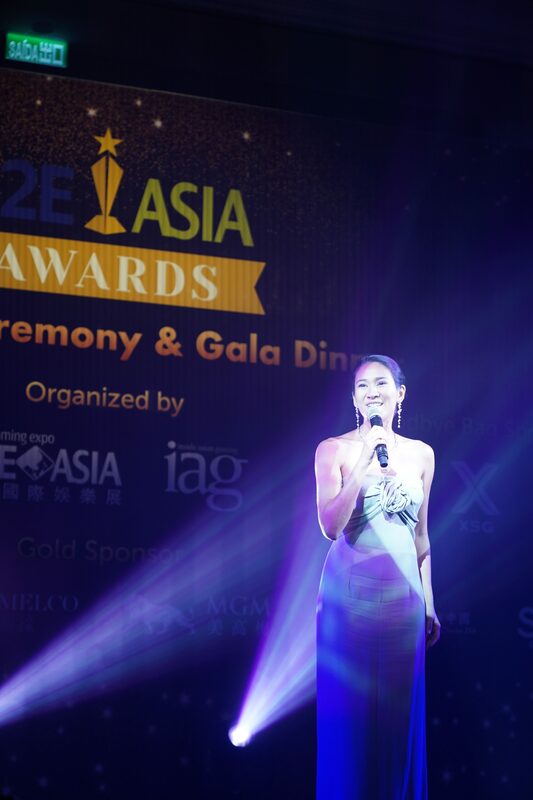 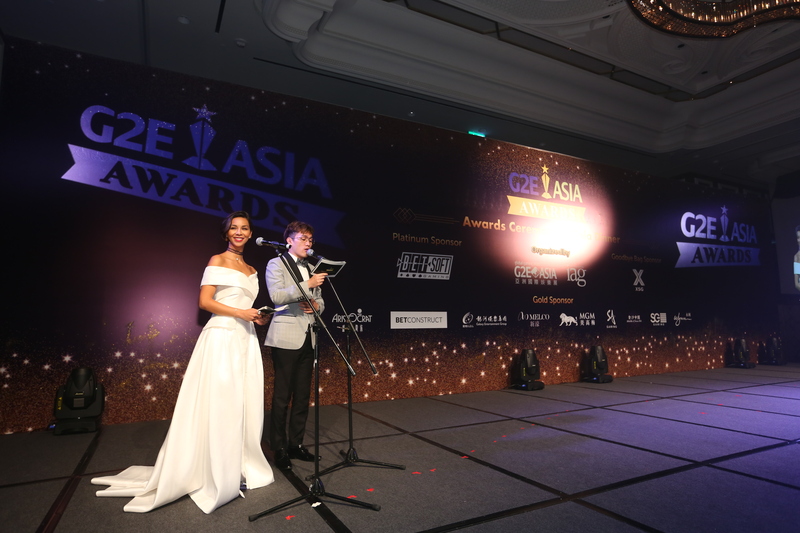 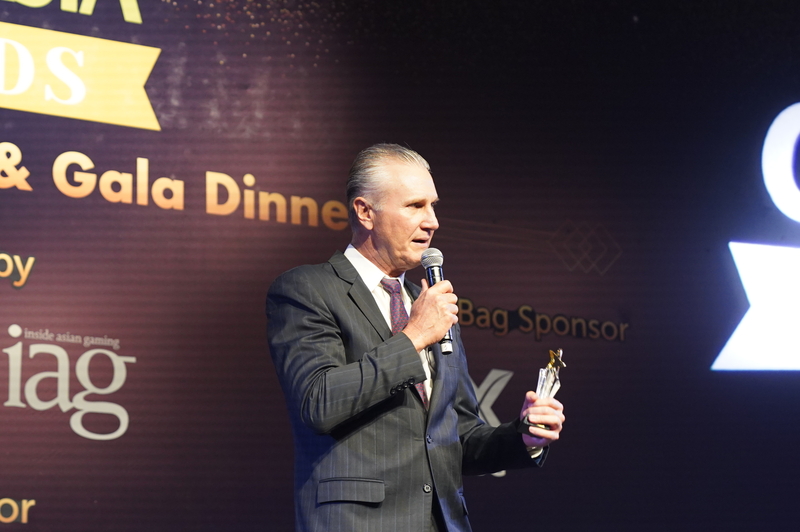 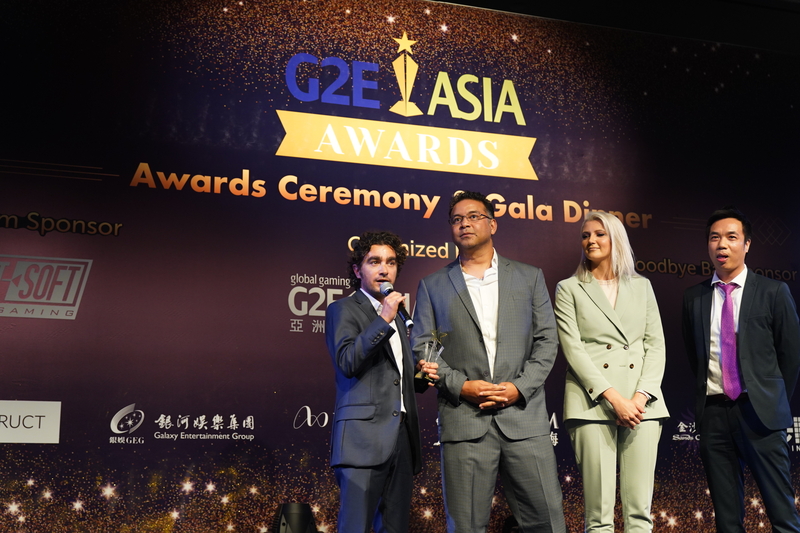 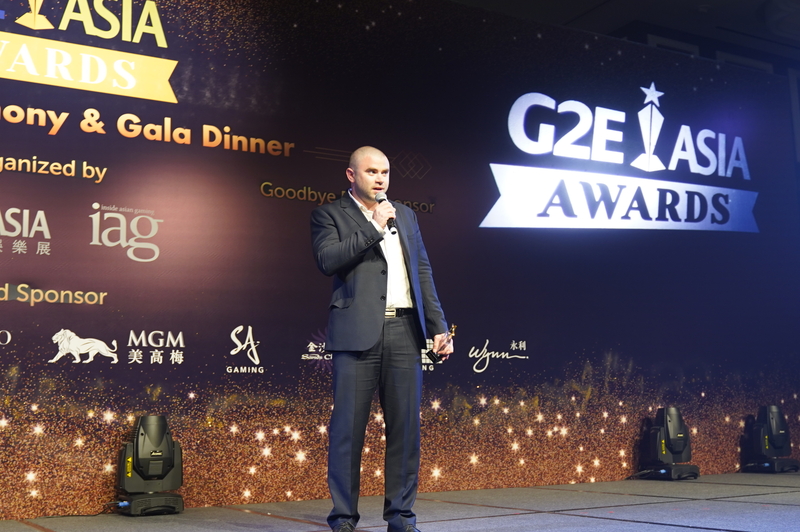 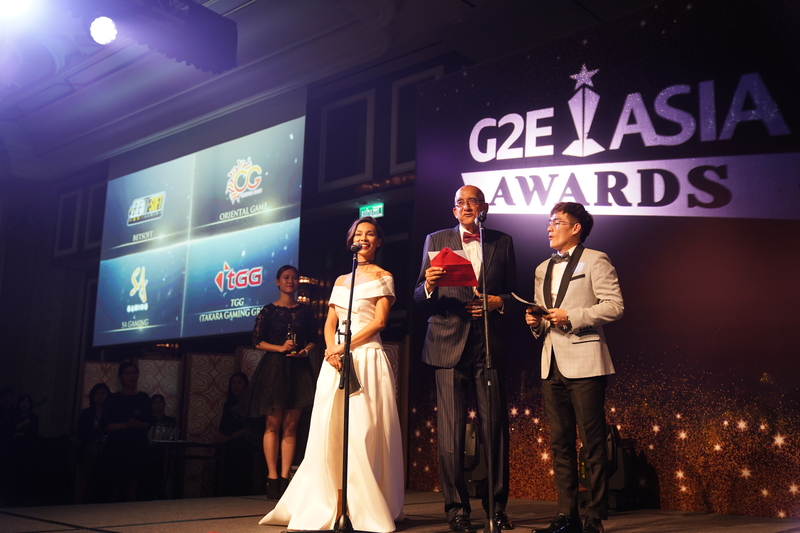 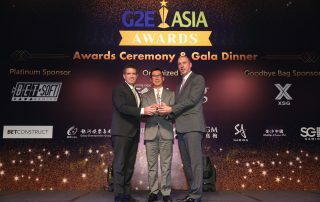 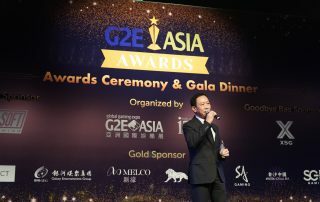 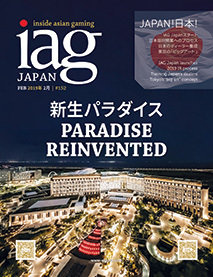 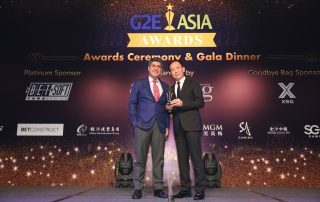 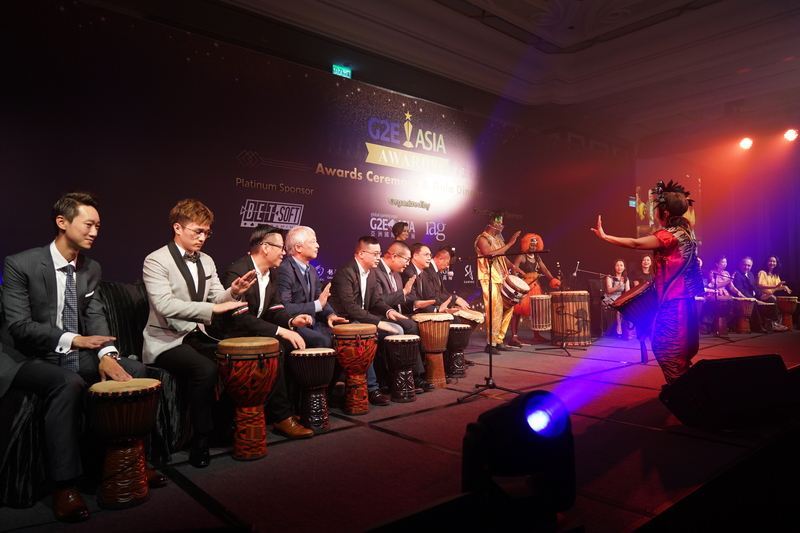 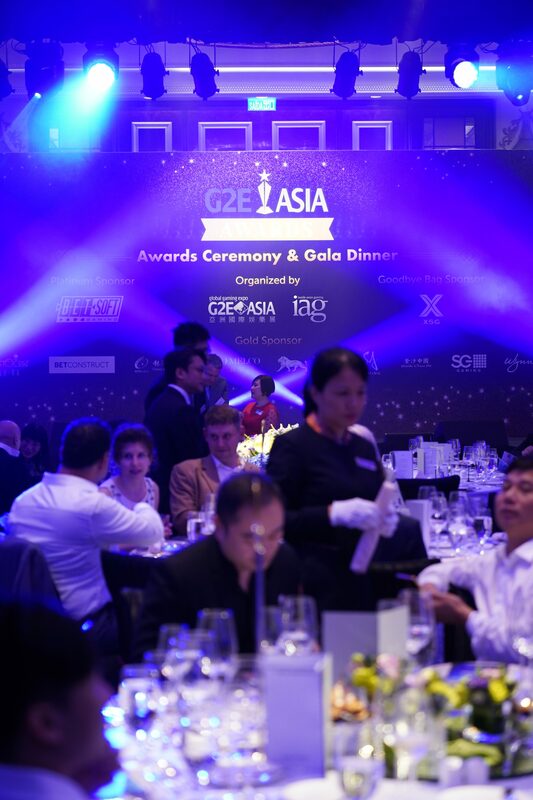 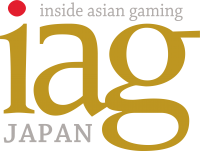 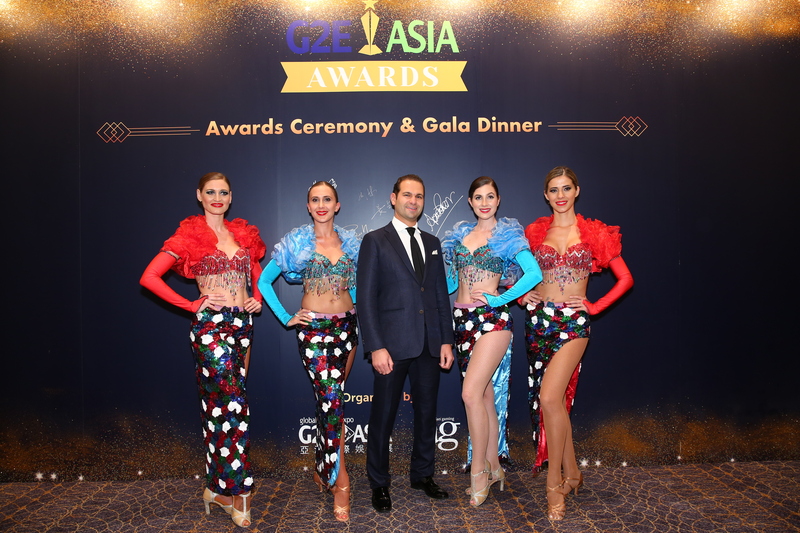 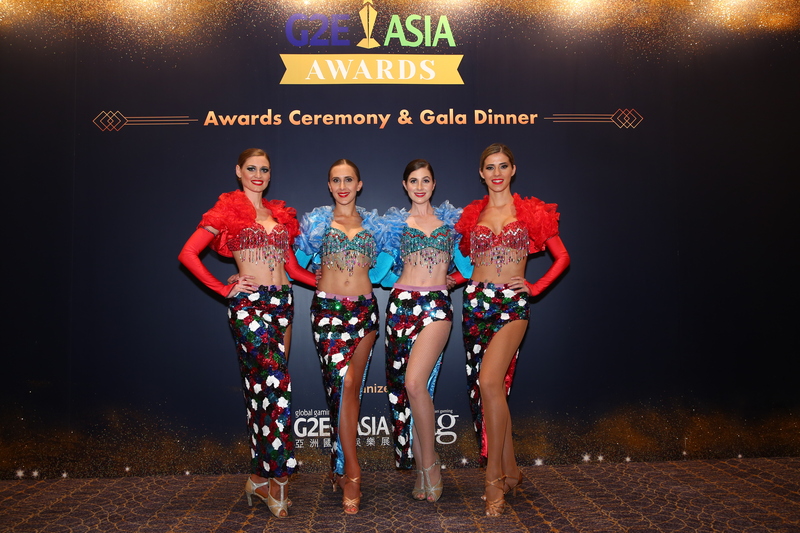 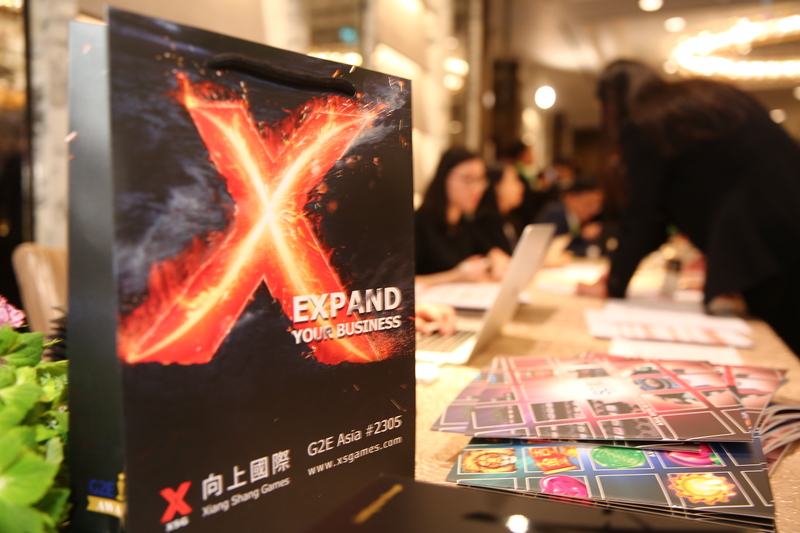 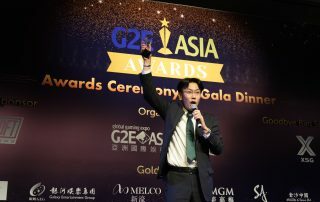 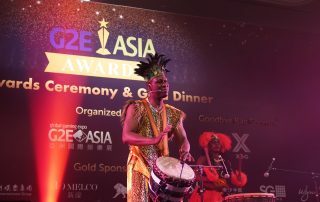 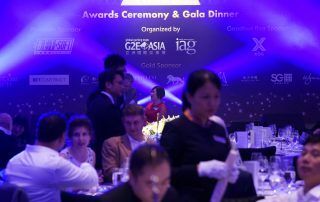 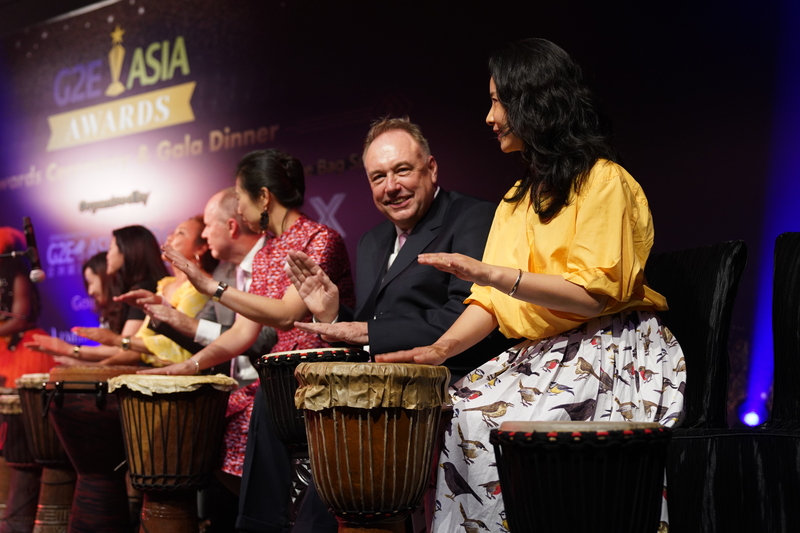 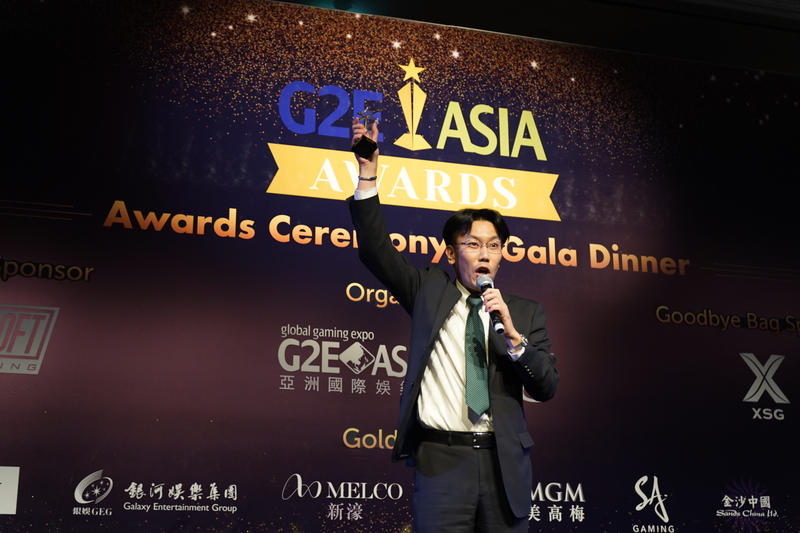 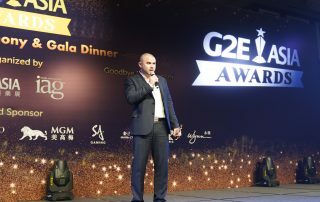 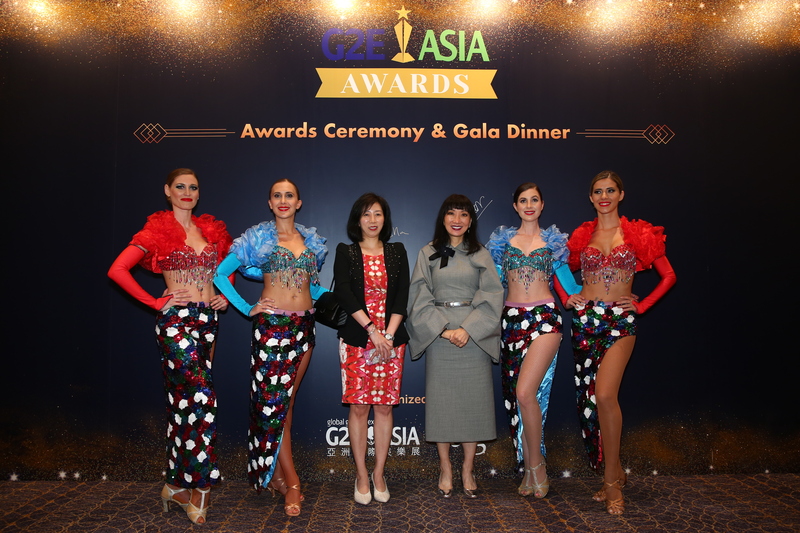 The G2E Asia Awards dinner is an evening of fine food, superb entertainment, great company and represents a fantastic opportunity to recognize the best of the best of our industry. 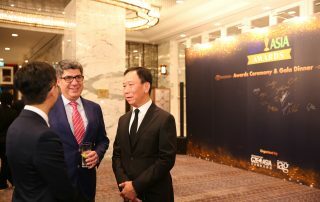 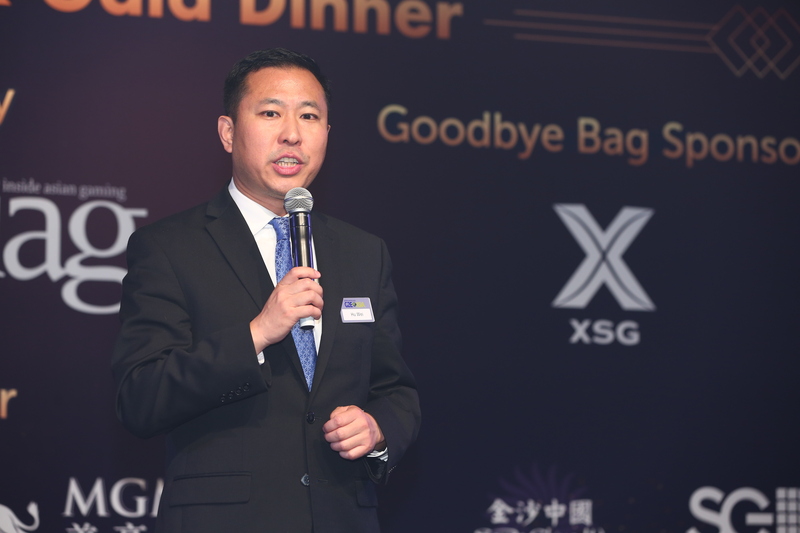 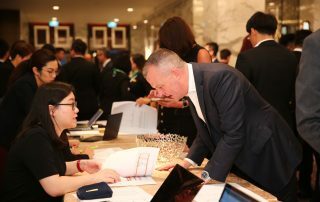 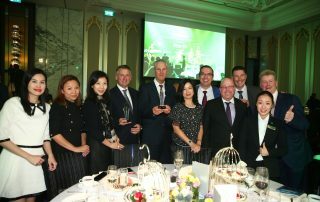 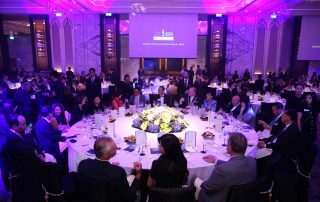 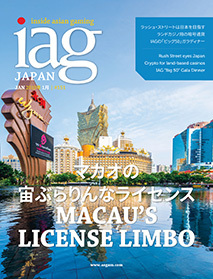 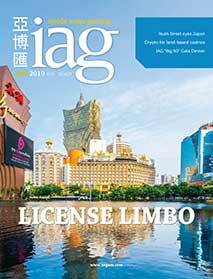 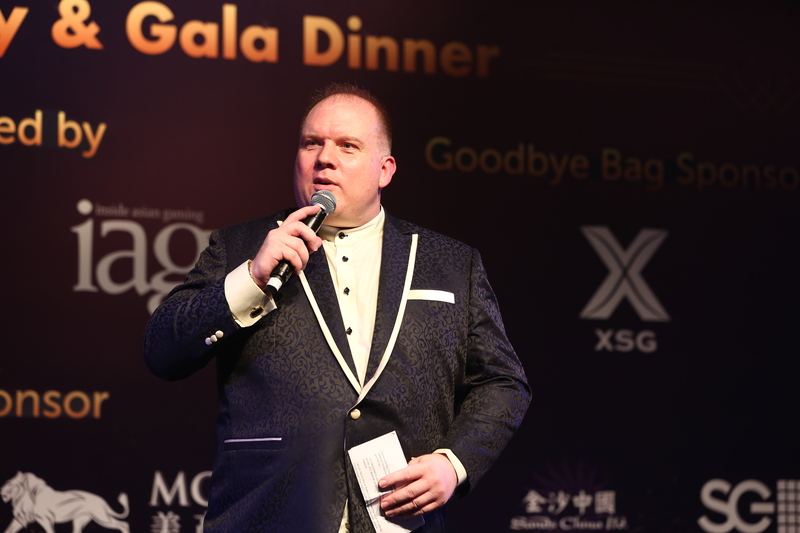 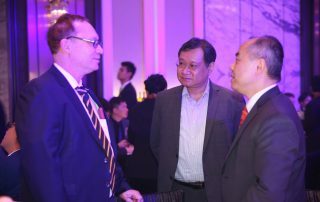 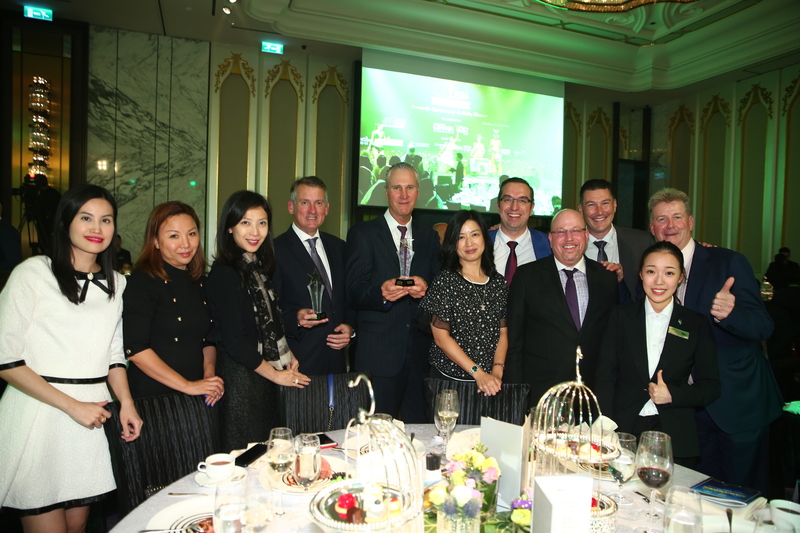 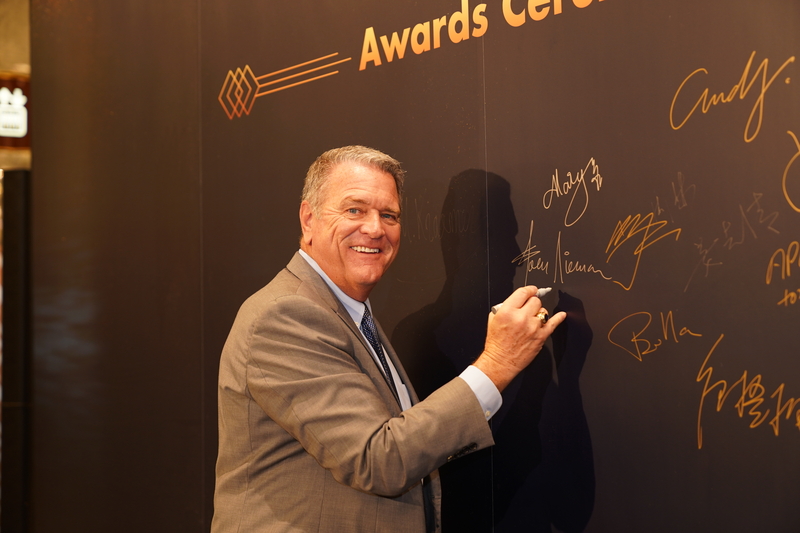 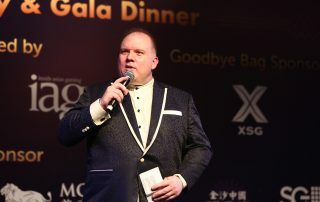 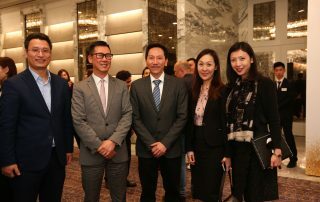 The 2018 dinner and awards ceremony was held on Tuesday 15 May 2018 from 7pm to 10pm at The Ballroom, MGM COTAI, the newest integrated resort in Macau. 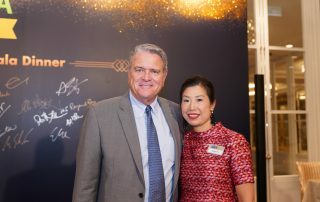 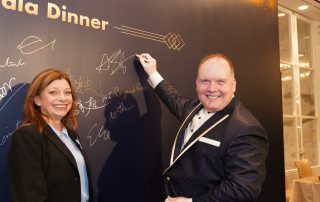 A welcome reception with a red carpet led guests to a navy blue backdrop board for them to sign with a golden color pen. 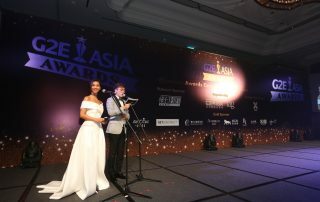 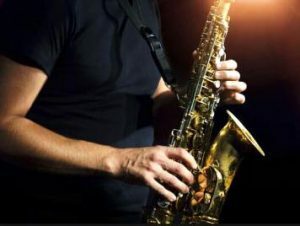 The reception also included cocktails, glamorous and elegant hosts and a saxophone performance. 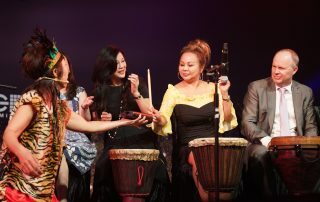 Music was a constant throughout the night, with live performances by classic and regional artists. 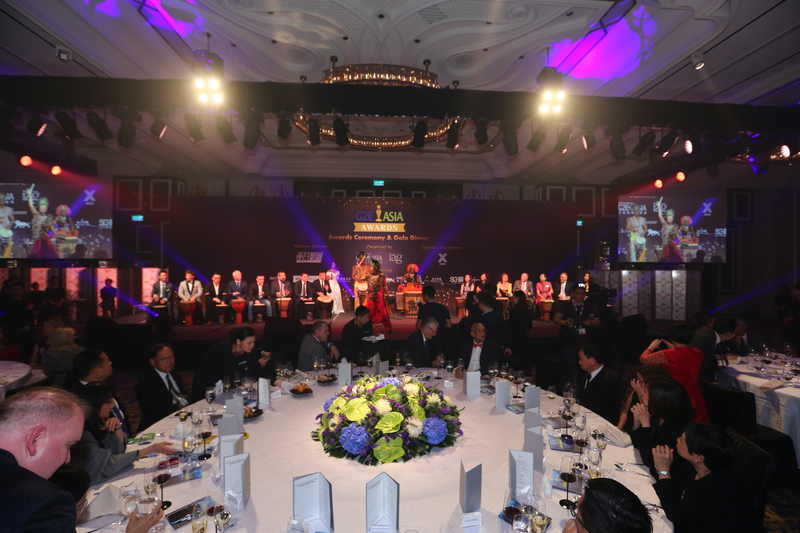 Throughout the evening 12 awards were presented by a range of VIPs. 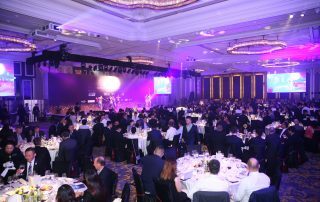 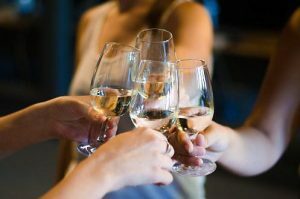 The venue for the 2019 dinner will be announced soon!